Enjoy a stay at De Hoop Collection from May-July 2016 and take a massive 50% off your stay when booking one of our De Hoop Village Units! The cottages are whitewash-walled fisherman-style houses characteristic of the Western Cape Coast. Ideal for a family and friends getaway, the cottages are well appointed and provide guests with a home-from-home setting. Excludes Event Weekends & Holiday Programme Dates. Please enquire when booking. Self Catering Basis. Minimum 2 night stay for up to 4 Guests. Additional Guests can be accommodated at an extra rate. Excludes Reserve Entrance Fees. 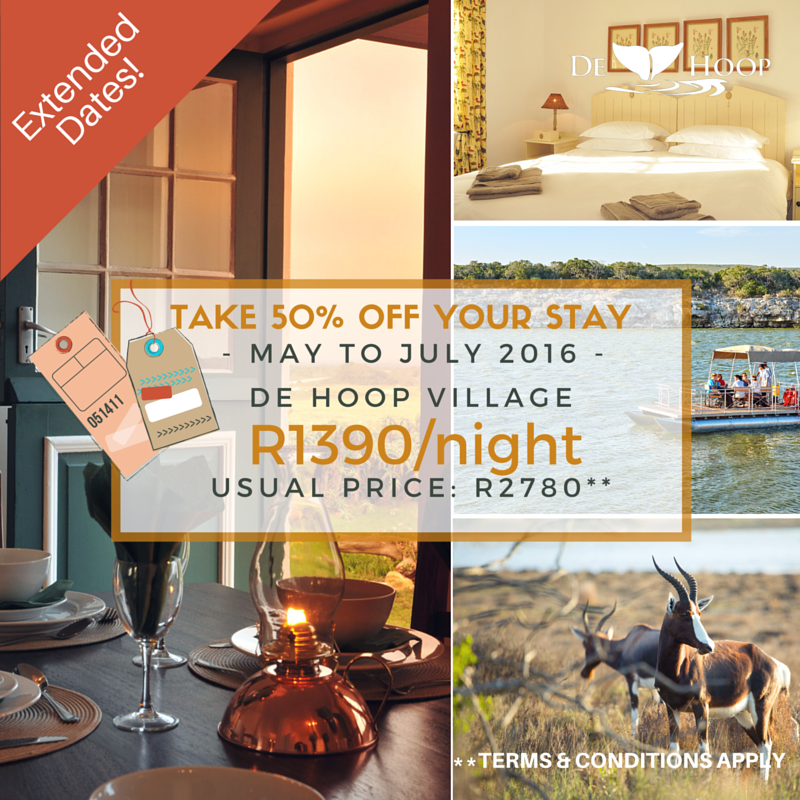 Valid for De Hoop Village units only for stays in May to July 2016. Valid for all new bookings as of 01 March 2016.